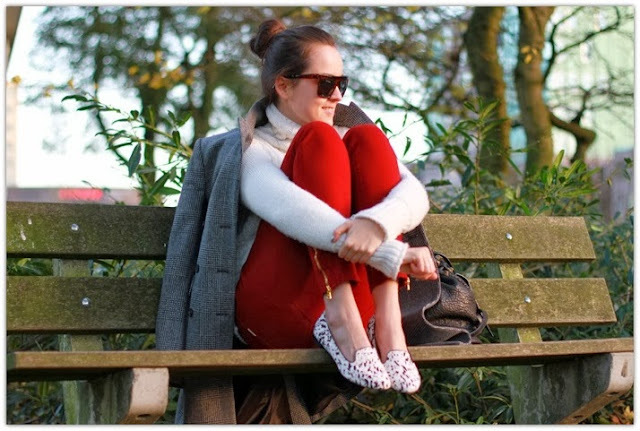 Correctly complementing red trousers might seem to be an intimidating task at first thought. 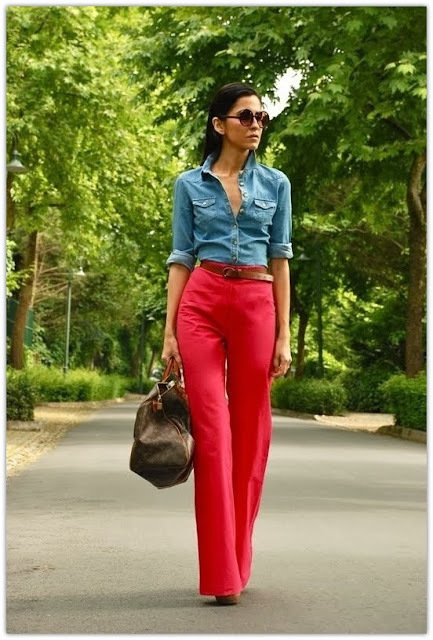 But by following a few simple outfit colour scheme guidelines, you can make a bold fashion statement in red trousers. Good colours to complement red trousers include white, black, beige, brown and grey. 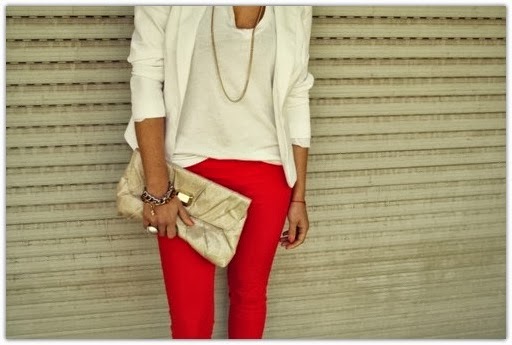 Neutral colours complement the red without making the outfit seem too bright. With a little outfit planning, anyone can wear an outfit based around red trousers that looks as if it's expertly designed. The 60s saw the emergence of mini skirts and they have been one of the favorite outfits for women everywhere ever since. Have a look at the photos below and you'll find ideas and inspiration on how to create chic outfits with a fitted mini skirt, that is the latest trend for this spring and summer. 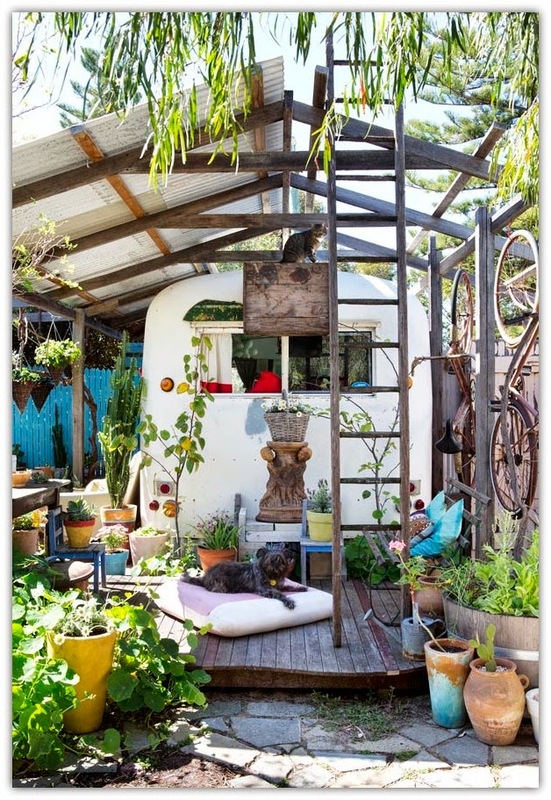 This is the amazing home of Trish Bygott, Nathan Crotty and their family in Fremantle, in Perth, Australia, which incorporate a 1950′s bus and a 1970′s caravan which function as additional rooms, expanding an otherwise modest one bedroom home to accommodate all the family. With the temps cooling down more and more each week, we're finally getting in the mood for cozy knits, coats, layers, leather, fur, and everything else that autumn weather implies. Here, the chicest outfits and to inspire and guide you as you continue your fall wardrobe planning.